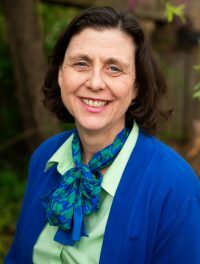 Barbara Wolf has over 20 years of experience in a diverse set of educational roles. She consults teachers and parents on positive reinforcement to reach academic success in the classroom and at home. She has taught children with mild to severe learning disabilities, emotional disorders, autism, mild to moderate mental impairments, traumatic brain injury and profoundly mentally and physically impairments. After relocating to Apex in 2012, she served as a Reading Intervention Specialist in the public school system gaining experience in the service delivery models, curriculum and assessment practices in Wake County. Barbara Wolf may be contacted directly at barbarawolf.edu.consult@gmail.com or (919)322-8765. Her fees are not billed through the Heartwood office. Tamara Hoxie is an on-site reading specialist. She tutors students individually, specializing in the child who is experiencing difficulty learning to read, write and spell in a traditional or group setting. She uses a combination of methods, primarily Lindamood-Bell to introduce all the phonetic sounds of the English language through the physical sensations of the oral production. This is an intensive remediation program that builds a solid foundation for language arts. Most students will see a gain of 2-3 grade levels in reading after 18-24 months of hard work. Students work with Mrs. Hoxie three times a week for 45 minutes at a time. Tamara Hoxie may be contacted directly at tthoxie@hotmail.com. Tamara Lapsley graduated from UNC-Chapel Hill in 1982 with a B.A. in Psychology and in 1984 from UNC with an M.S. in Speech-Language Pathology. She worked for 4 years with the Davie County Public Schools as a speech-language pathologist with students in grades K-12. In 1988, she moved to Charlotte, NC where she worked for almost 5 years at Charlotte Rehabilitation Hospital. There she gained experience in working with children and adults with a variety of communication disorders including cleft-lip and palate, hearing impairment, stroke, stuttering, language disorders, and traumatic brain injury. She also served as the Clinic Coordinator for their Cleft-Lip/Palate and Craniofacial teams. 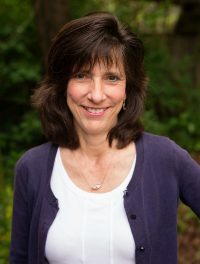 In 1993 she moved to Raleigh, NC with her husband and worked for Wake Medical Center’s Outpatient Rehabilitation Clinics in Raleigh and at Western Wake Hospital. Since 1997 she has been raising her own children and also working privately with preschoolers and students who have speech-language deficits. In addition, she substitutes at St. David’s School in Raleigh for the speech-language pathologist on their Academic Support Team.